Flies are as much of a fixture on any homestead as a the chicken coop and a compost pile. Killing flies as well as keeping them and other pesky insects off of your family and livestock becomes an everyday battle once the chill of winter gives way to the warmer temperatures of spring. Making your own fly spray is not only a quick and easily accomplished task, it is also one that involves absolutely no chemicals and costs mere pennies. 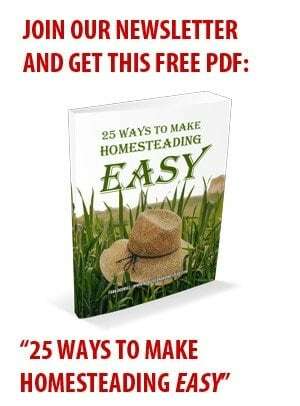 I started making my own insect and fly spray while I was still an “in town” homesteader. Once I learned how efficient it was at thwarting not just flies but mosquitoes and horseflies, I started using it on our backyard livestock too. Soon, my DIY fly spray became small town famous, even the Amish wanted my recipe. I actually traded some of my homemade fly spray with our Amish farrier for a bag of his wife’s freshly baked chocolate chip cookies – so I got the tastier end of that deal. This DIY fly spray costs me approximately $2.50 to make per half gallon, and it keeps for months on end without losing its potency. 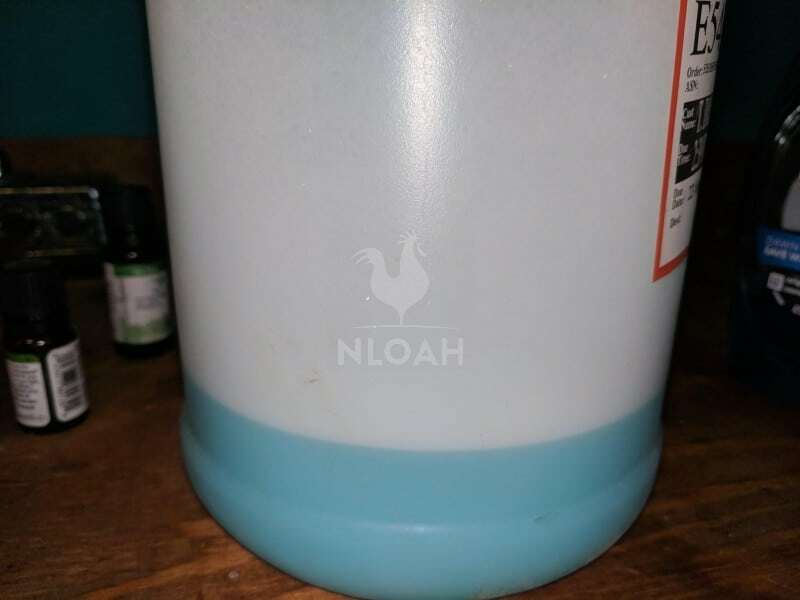 1 cup of Blue Dawn – you can use any liquid dish soap but none I have tried work as well as this brand…and I do not get paid for telling y’all that. If using this spray on small livestock or children age 2 and younger, reduce the tea tree oil by half. The essential oil can be too potent for young children and cause a rash, or other typically minor allergic reaction. Using too much tea tree oil in this spray or any home remedy applied to animals can cause nervous system problems or even seizures in extreme instances. I have always used tea tree oil in home remedies for our family, dometic pets, and livestock without any problem, but I do reduce the amount of any essential oil used when it will be applied to young children and animals – especially tea tree oil. Puppies, kittens, rabbits, cats, small dog breeds, and chickens, are more susceptible to the tea tree oil exposure than larger animals. This fly spray recipe is designed for application mostly to ground areas, or on the skin of adults and large livestock. It has a high essential oil content that should be reduced by half when spraying on children age four and older and medium livestock. I do not recommend using this high of a concentration of essential oils on your children and either small or young animals. 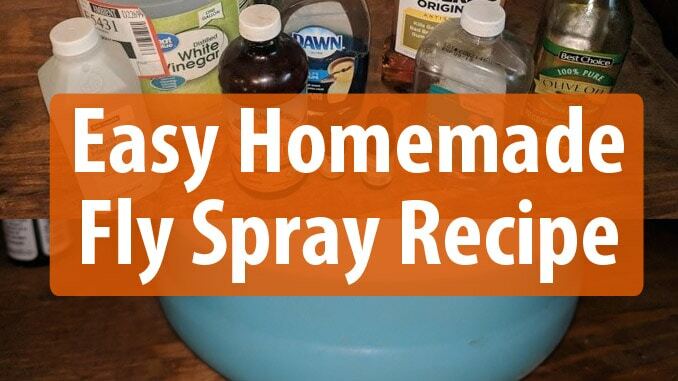 This fly spray recipe is more expensive to make because of the amount of essential oils used. A half a gallon can cost around $5 to make. 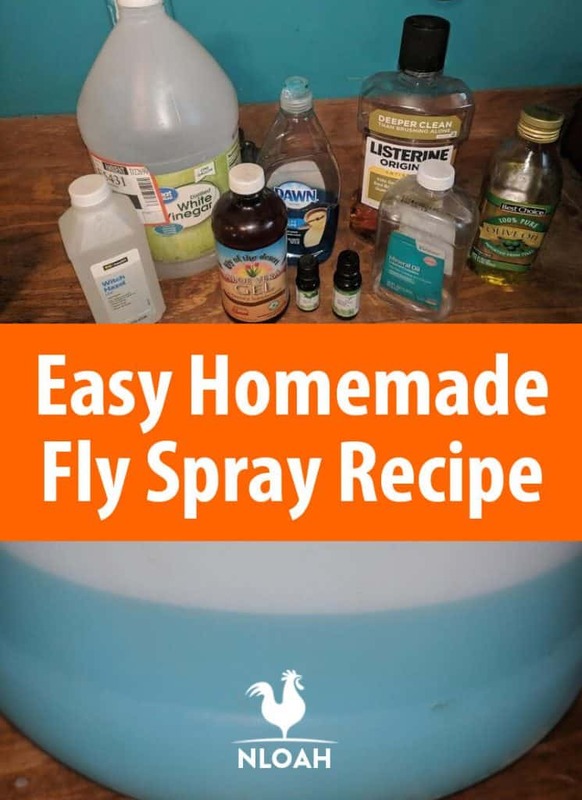 I typically whip of this DIY fly spray recipe when I am dealing with horseflies, wasps, and hornets. 5 cups of apple cider or distilled white vinegar – apple cider works best with this recipe. Follow the directions below to complete either recipe. 1. Mix all of the ingredients together in a jug with a firm-fitting lid or a squirt bottle if only making a small batch. I tend to keep the big jugs in the distilled white vinegar comes in, and mix up a batch of fly spray when I have about the right amount of vinegar left. Using a little extra vinegar makes the insect repellent spray more potent. 2. Shake the homemade fly spray vigorously for about 30 seconds. Recipe 1 ONLY – Pour the fly spray into a squirt bottle and spray the DIY insect repellent dirty onto your skin or onto the fur of animals. When spraying on animals, it is best to ruffle the fur a bit so the spray actually sinks onto the flesh below. You can squirt the DIY fly spray directly onto hovering flies and kill them nearly instantly. You can soak fabric strips into the spray, and hang them up in a boho decorative manner on string around your porch, patio, or shelter house to deter flies, mosquitoes, and other pests. To keep flies and bees away from outdoor trash cans, soak a sponge in the spray and place it in a paper bowl that has been duct taped to the can. Pour or squirt the homemade fly spray around outdoor leisure areas and/or livestock pens to keep flies and other insects at bay. Store the homemade fly spray in a container with a firm-fitting lid in a cool dark place until ready to use. 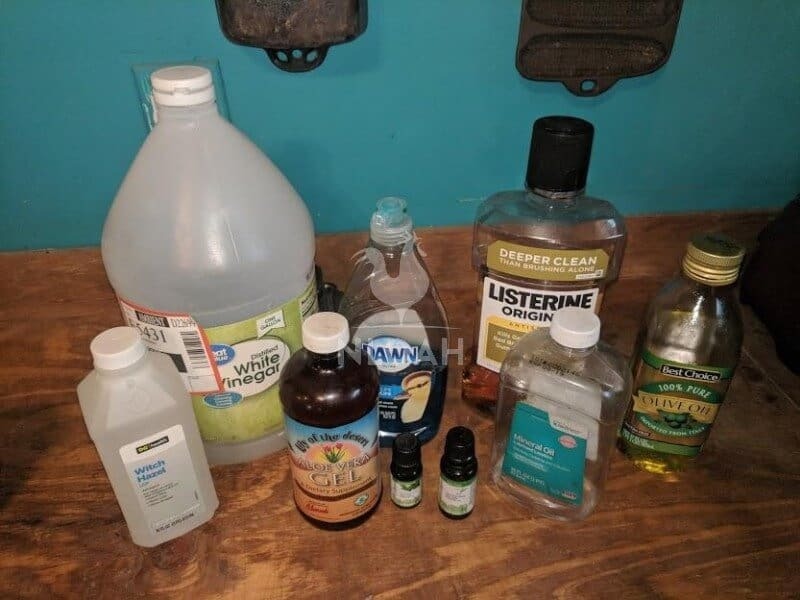 I typically make up a big batch once a month starting in April through September so that I always have plenty on hand to treat livestock, spray around common areas in the yard, and to squirt all over myself before working in the garden or going on a trail ride.